This is an activity designed for High School Honors level students. 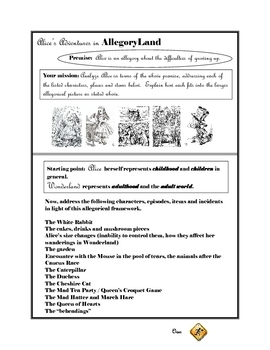 It sets up a premise that Lewis Carroll's Alice In Wonderland is an allegory for growing up, and asks the students to analyze the characters, settings and events of the novel in that framework. 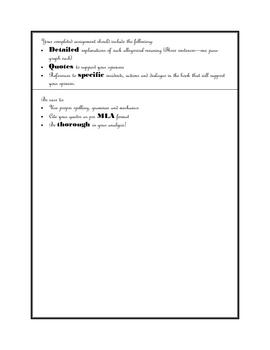 Works great as a group project for the students to discuss ideas and think critically about the text together.